Spring is here and summer is on its way, so we definitely have to clean up and refresh our wardrobes. All ladies know accessories set the tone: mismatch them and the Fashion Police will make sure you’ll never hear the end of it; choose them wisely, slip into your dullest dress and come out looking like the queen of the ball. Pantone already laid down for us the most fashionable 2016 spring color trends, so all we have to do now is find those perfect accessories to make us look trendy, stylish and renewed! 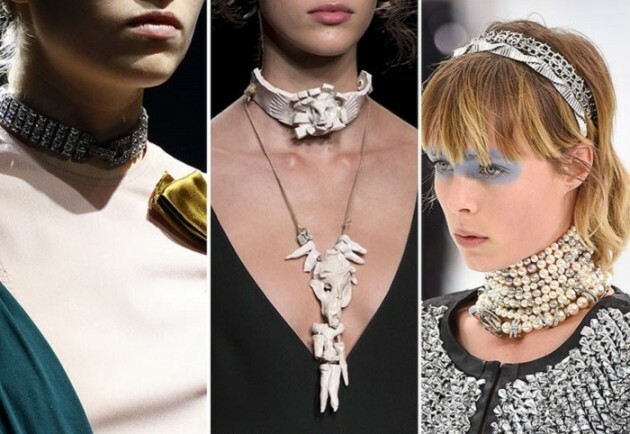 Choker necklaces are nothing new, but visionary designers poured a new life into them. We are talking about chokers in mind-blowing settings which can compliment even the most minimalist outfit. This spring everything is allowed: floral motifs, tribal pendants, buckles, stones, heavy metals, and leather. Perhaps the most amazing choker of them all is the delicate pearl choker in metal settings, adorned with charms or styled with brooches or pendants. Elongated, shoulder-length earrings are gorgeous. But what happens if you mismatch them? 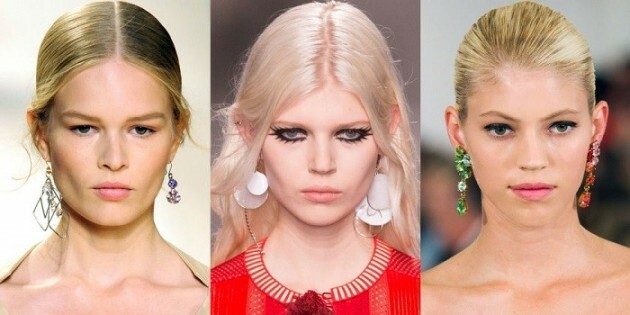 Be it color, size, shape or details, mismatching earrings were all the rage on catwalks recently. Don’t let yourself be fooled: such designer earrings still come in pairs, as there is order and perfect logic behind the apparent chaos. Once upon a time, anklets were highly fashionable, but the last decades pushed them to the edges of oblivion. Now they are making a huge comeback, especially because famous fashion houses set them in precious metals like yellow or white gold. They are simple, double-strapped, with beads, crystals, and chains. Bold designers have also paired them with cute flip-flops and pointy-toe stilettos for a dazzling effect. A trend that has everybody talking is the Lucite-heeled sandals, a brilliant idea coming from D&G, Polyvore, and others. They will make you look like walking on air. Sandals’ straps are there to amplify the eerie feeling such invisible heels offer, wrapping like a vine around a woman’s ankles. Pick a pair with floral motifs and you will look like a fairy all summer long. 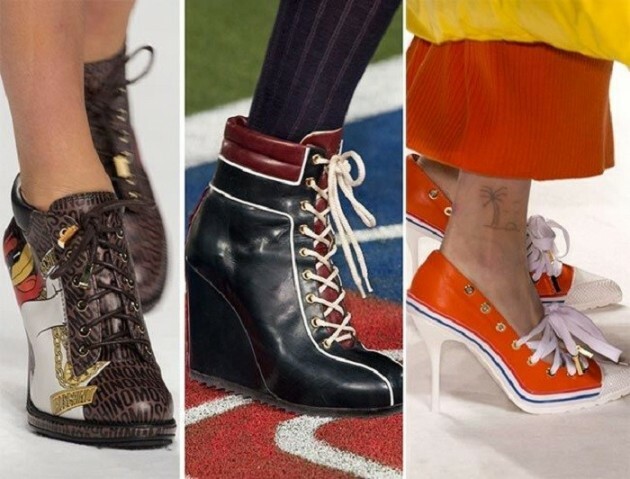 Starting last year, heeled sporty shoes are not a whim anymore, but an established accessory many women fell in love with. Comfy and chic slip-on sneakers will never go out of fashion, but this season we will see more high heeled and platform sneakers than before. They come in bold and vivid colors as well. Paraphrasing Felicia Day, geeks are the ones that are cool nowadays. Spring 2016 fashion trends became visible since winter when geeky sunglasses made a riot. They are proudly worn by young women with attitude – and they look fabulous! Colored frames and huge unusual lens shapes are the way to go this summer! You may love your simple and elegant wrist watch, but this spring is everything but simple! New trends in time keeping suggest we should mix wrist watches with bangles, chain bracelets, wires, friendship bracelets, textile, leather and metal straps, beads and so on. 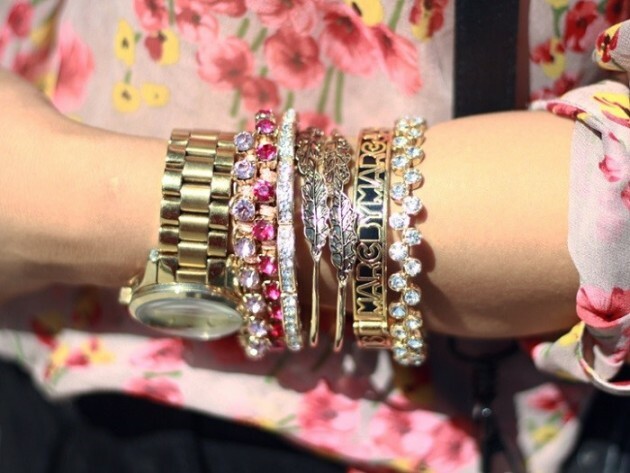 Adorn your wrist in a myriad of colors, textures and patterns and turn your watch into a work of art! Your classic statement bag receives a new twist this season: the bag handle designs we’ve seen all over runways are out of this world! 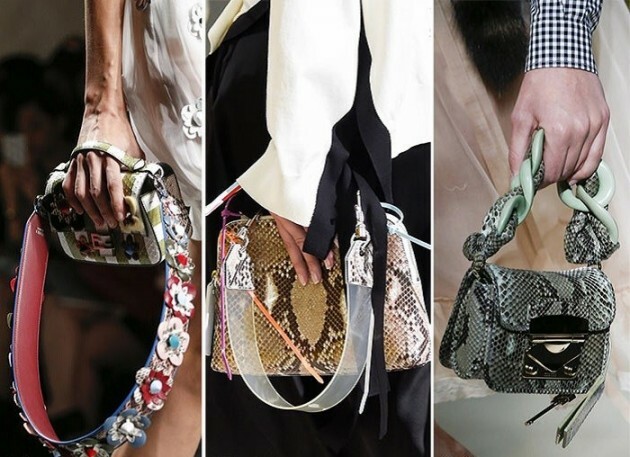 Fendi, Miu Miu, Chanel, these are just a few houses which considered that bag handles needed a full upgrade. From floral motifs with gemstones, to plastic and leather intricate bag handles designs, your new tote or clutch will definitely say something about you being stylish and bold. Also known as body jewelry, body chains are Asian and Orient-inspired. They are the next big thing this season, covering the entire chest in X shape settings or adorning the cleavage down to the belly. Sometimes they even reach the hips. They are versatile, sophisticated and sumptuous and they work great with both androgynous outfits and highly feminine ones. 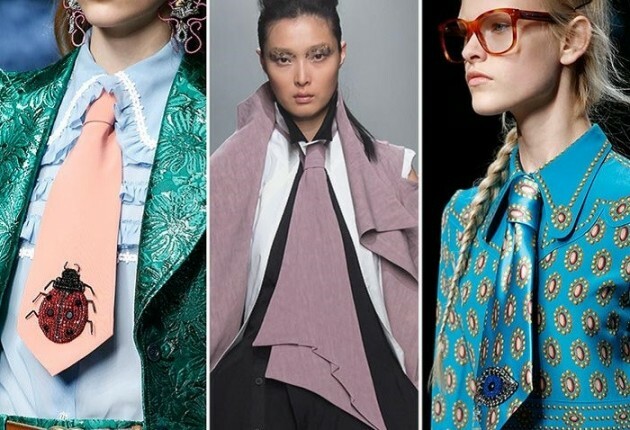 It’s not unusual for women to wear neckties, but this season, the plot thickens! They are coming in irregular shapes, colors and patterns, they can be worn with turtlenecks and… some ladies can wear more than one, placed up front or to the sides. Some match the blazer pieces or the power suits; others are true walking surreal paintings. Which of these 2016 accessories do you like best? What would you love to add to your wardrobe?